That being the case, I suspect Arum would say that John Molina’s value went sky high by choosing to take part in what can only be described as a career-damaging “demolition derby” in his brutal and savage war with the Argentinian Machine, Lucas Matthysse on April 26. 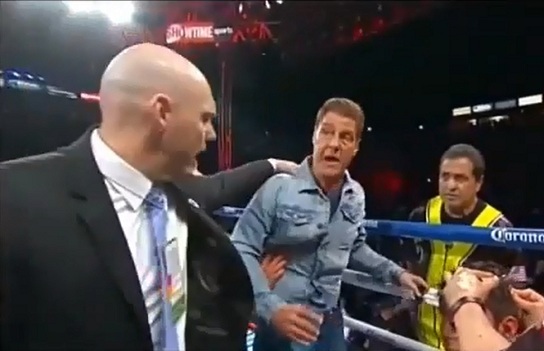 This FOTY candidate can be added to any Alvarado fight, Tapia vs. Kirkland, Provodnikov vs. Bradley, and other fan-friendly affairs, albeit bruising encounters. 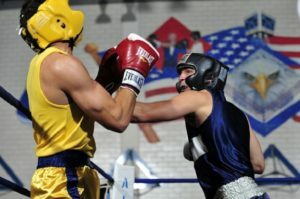 Boxing has received heavy criticism of late (especially after the Magomed tragedy, the death of Russian Roman Simakov, ring deaths in Indonesia, two fatalities in Mexico, and the severe injuries suffered by Colombian Jose Carmona following his November 2013 KO loss to Jorge Arce in Mexico). Within the foregoing context, the deplorable and atypical behavior of Molina’s trainer Joe Goosen must be low-lighted. 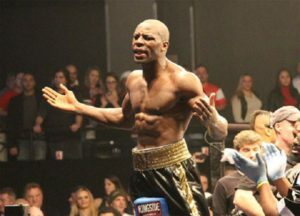 Despite two earlier knockdowns by the clubbing Molina earlier in the fight (one of which clearly was illegal), John had taken heavy punishment in round 9 and horrific punishment in round 10; he was fading fast in what had become a one-sided affair. The rate at which The Gladiator was taking La Maquina’s heavy artillery was downright scary and had me yelling at the monitor “stop it, stop it.” The second knockdown in the tenth should have been the last, but Referee Pat Russell allowed him to survive until the bell. This is where Goosen comes in. As Russell and the ringside doctor moved in to determine “The Gladiator’s” condition and as Russell suggested that John could take no more punishment, Goosen joined a long list of brave, albeit shameless, corner men when he said, “Wait a minute…of course he can.” The large-sized Goosen actually put his arms in the way of the doctor and Russell to prevent them from examining his charge, but he was restrained by the ring supervisor. 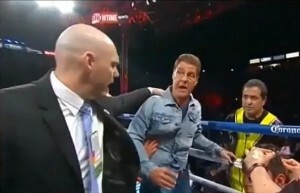 Molina was then allowed to resume the fight and the proof of the pudding was that he was promptly taken out by Matthysse’s first volley just 22 seconds into round 11—an unnecessary 22 seconds—because of course he couldn’t take any more punishment! 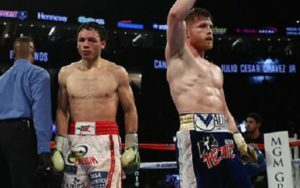 Now the hypocrites—and they are legion—will say boxing has become an ugly “last man standing” kind of thing. I’m not one of them and I will continue to watch boxing, but what I witnessed last night moved me a tad closer to dislike than like. Ted Sares is a private investor who enjoys writing about boxing. 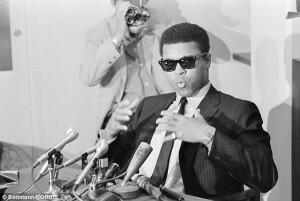 He also is a member of the Ring 4 International Boxing Hall of Fame and a member of Ring 10. A member of both the RAW and the Elite Powerlifting Federations, Ted is one of the oldest active competitors in the world and holds several U.S. records.